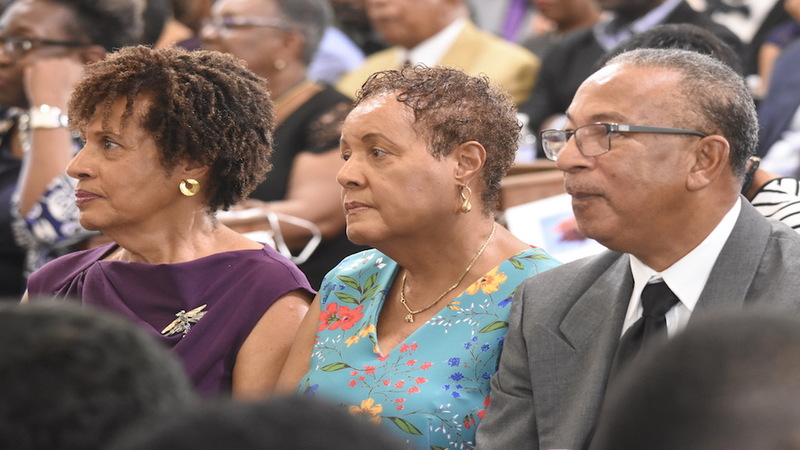 Among the gathering were Samuel-Binger’s family members as well as colleagues from the media including RJR/Gleaner, where she worked for nearly four decades. Members of both major parties were also in attendance, as well as corporate executives of some of the island’s leading businesses. Samuels-Binger was described as a fun-loving individual who will brought joy to any surrounding that she found herself in. There were also many stories about her baking abilities. 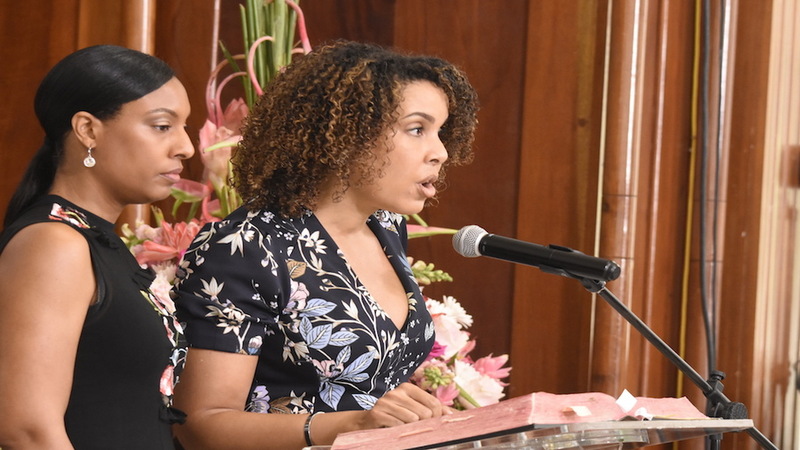 Among those who gave tributes in speeches were Samuels-Binger’s children – Melissa Rickards spoke on behalf of brother Russell Rickards and sister Morgan Binger, as the three joined together at the podium. Likewise, Samuels-Binger’s sisters Pat McLaren and Carol Campbell also stood together at the podium, with the speech delivered by Campbell. 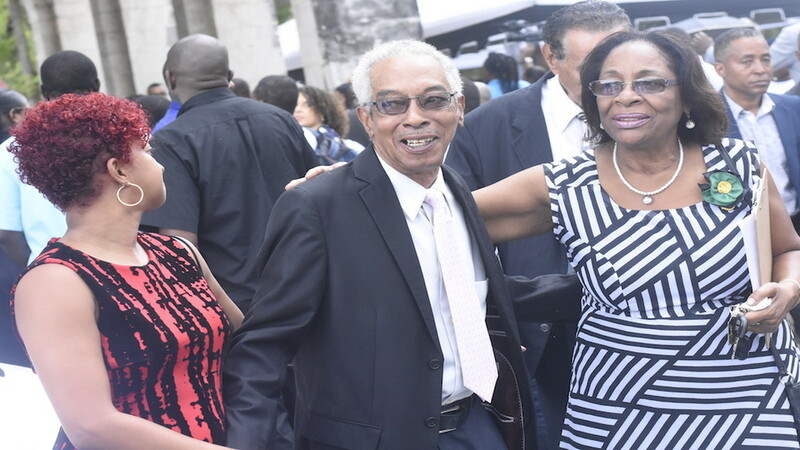 Speeches were also given by RJR’s chief executive officer Gary Allen, guest services manager of Holiday Inn Winsome Hooper, niece Candace McLaren and Reverend John Scott of the Temple of Light. She said media was her sister’s life as she relayed a story about Samuels-Binger steppin off a plane once and going straight to work at RJR because the island was facing an impending hurricane “and they might need me”. He said, “even as we hurt, we draw upon the fact that we have many fruitful memories that we will hold onto, like her achievements and the things that she did in her life that we now celebrate. “Her silky smooth voice, her easy tone, her clear diction, her ability to effortlessly lift words off the paper and make them into images that seemed to speak specifically to you, are qualities that few can compare with,” Allen said. 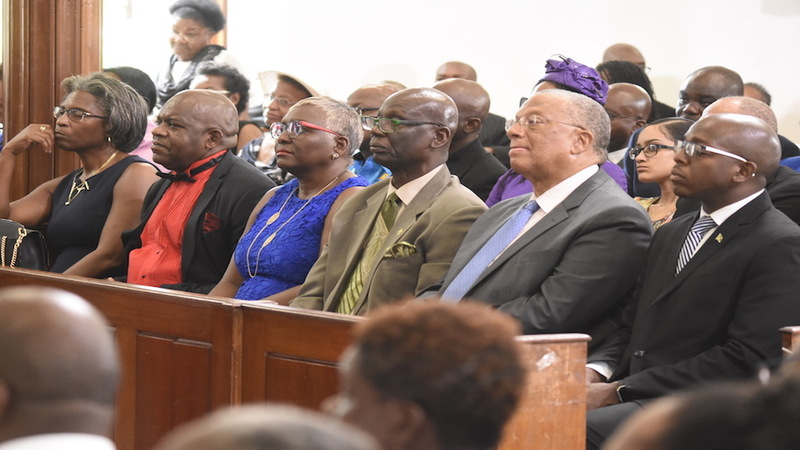 General secretary of Jamaica Council of Churches, Gary Harriott delivered the homily during which he told the congregation that when life gets topsy-turvy, they should become convicted in faith as “God does not abandon his people”.